Susan G. Komen is the world’s largest breast cancer organization, funding more breast cancer research than any other nonprofit while providing real-time help to those facing the disease. Komen was founded by Nancy G. Brinker, who promised her sister, Susan G. Komen, that she would end the disease that claimed Suzy’s life. Komen Memorial is working to better the lives of those facing breast cancer in the local community. 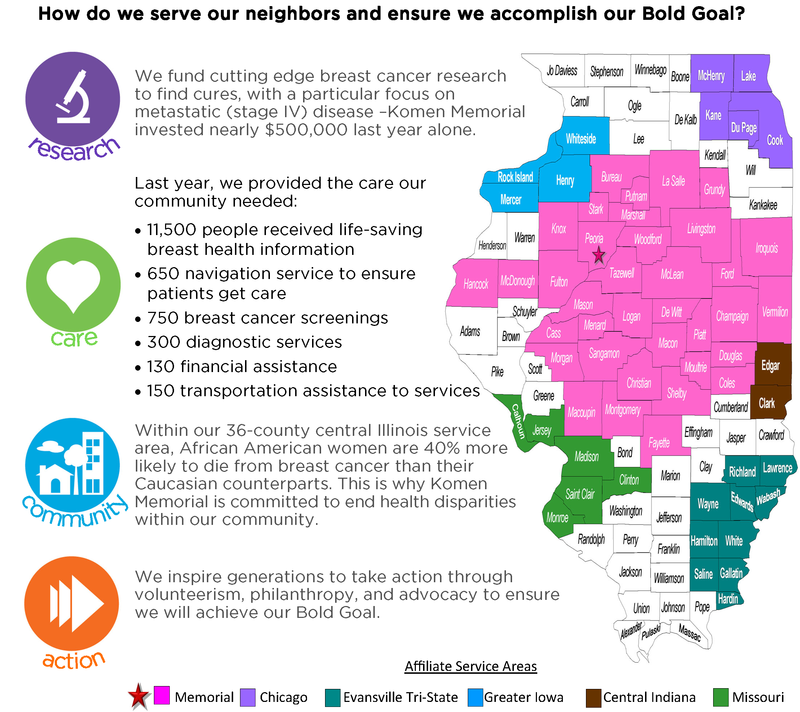 Through signature and third-party events, Komen Memorial has invested nearly $12 million in community breast health programs in its 36-county service area and has helped contribute to the nearly $988 million that Susan G. Komen has invested globally in research. Our Community Grants program is designed to make systemic, lasting change in our community. We are proud to have invested nearly $12 million locally since 1985. Click here for more information on our Community Grants program.